Your personal monogram is presented on thick paper with correct monogram positioning. 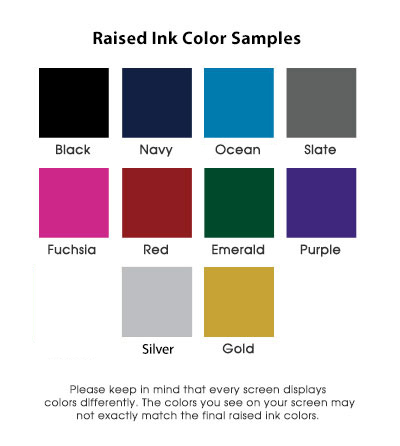 Printed in raised ink with attention to detail and craftsmanship. 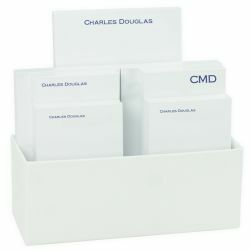 Each monogram notecard is hand inspected and gift boxed with care. 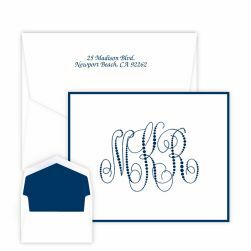 The available monogram lettering style collection was developed and curated by our design team for proper look, feel and read-ability. 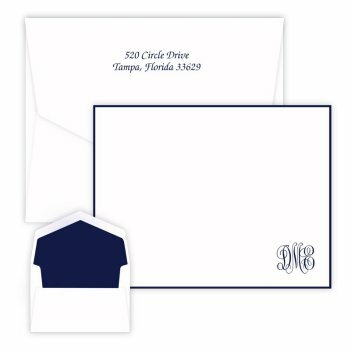 The Provincial Monogram Card features your choice of 10 monograms in 11 raised ink color options. 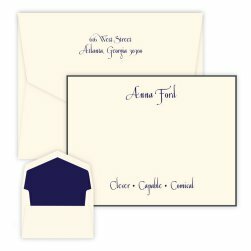 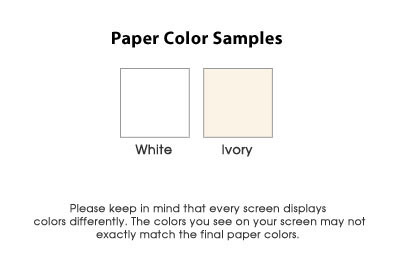 The monogram is properly printed in the lower right hand corner of the note card. 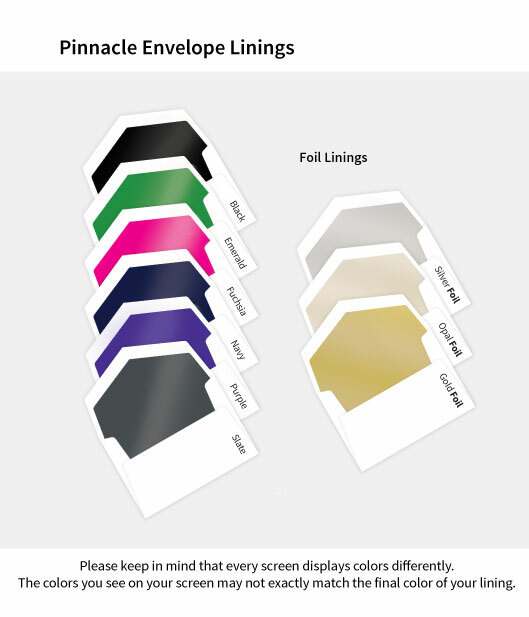 Provincial Collection monogram choices include: Classic, Circle, Firenze, Paris, Elise, Whitlock, Madrid, Sienna, Roma, or Diamond monograms.